Creating a series of Big Lizard paintings has been on my list of personal projects for a long time. Due in no small part to my years hanging around the museum as a kid or the posters that wrapped my bedroom walls growing up. To kick things off I started with the tyrannosaurus because he's the king, and easily the most famous. 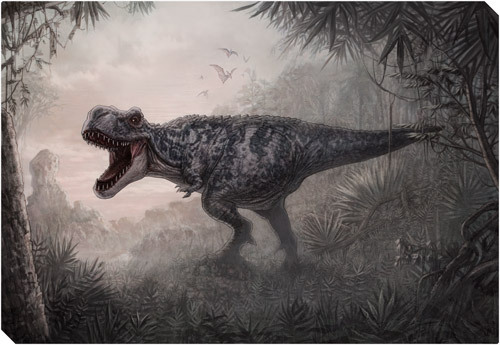 Check out Portfolio 2 for a larger image of the Tyrannosaurus and expect more dinos in the coming months. Tyrannosaurus Rex | Process & Detail | acrylic paint on illustration board ~12 x 18"
Fo signed archival prints please contact me directly. For other prints, products and apparel please visit Society6.